It is "American Federal Administration for supervision of food and drug quality". FDA deals with certification of goods, related to human health. FDA – is one of the most powerful organisations in the world. 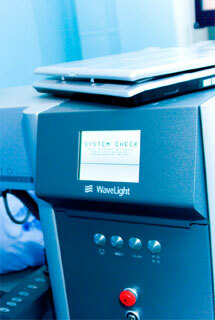 Excimer laser operation with the best equipment in the world - WaveLight, having all the certificates of FDA. 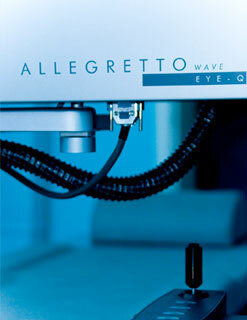 ALLEGRETTO WAVE EYE-Q – works in our centre with full diagnostics of wave front! The fastest, the safest, the most reliable, having all the FDA certificates and the most popular among the modern lasers! "One of the main objectives of the company WaveLight is combination of the most modern technologies, high quality materials with excellent ergonomic construction. In excimer laser ALLEGRETTO precise forms, excellent construction is combined with well designed ergonomics that guarantees safe, comfortable job of physician and patient. The optimal combination of different components and features of WaveLight guarantees maximal safety and reliability. 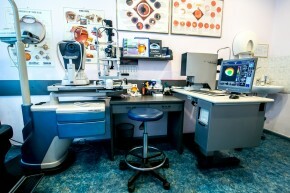 The well designed equipment enables development of refractive surgery, making it safer and more reliable. 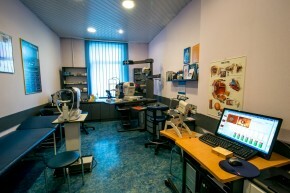 High quality of technical features, processes and manufacture enables a maximal quality of the equipment and treatment. 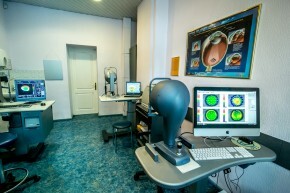 Only company WaveLight presents to an ophthalmologist a full range of front-rank and clinically tested refractive technologies (optimised wave front, correction of corneal asphery, computer topography, wave front). The high level of this area is based on many years of different investigation and management of different institutions and physicians in the whole world!!! WaveLight - the first company which started to perform investigations in the field of wave front, that was basis of development of treatment with processing by wave front the first time in the world". Eye microsurgery centre thanks the company WaveLight AG for the excellent performance in the area of refractive surgery and development of a unique complex of devices for a qualitative modern excimer laser vision correction, that has undergone all the clinical studies. is a powerful improved a model of system ALLEGRETTO WAVE. 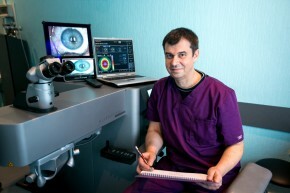 Additional possibilities of laser setting according to individual data of a patient enable a surgeon to major improvement of the operation result. 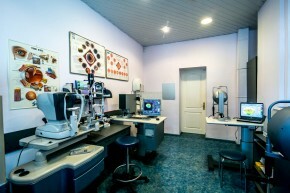 Excimer laser equipment and diagnostic system (Analyzer, Topolyzer) WaveLight is intended for performance of laser vision correction on the basis of measurement of wave front and for measurement of corneal surface and obtaining data for ablation procedure performance (correction of deformity). On the excimer lase ALLEGRETTO WAVE was done the first operation in the world in 1999 on the basis of individual data of the patient eye optical system. 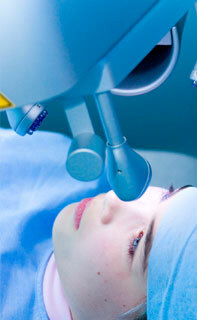 Era of personified (individual) refractive surgery started from that moment. Ablation frequency of 400 Hz, one of the fastest lasers in the world. 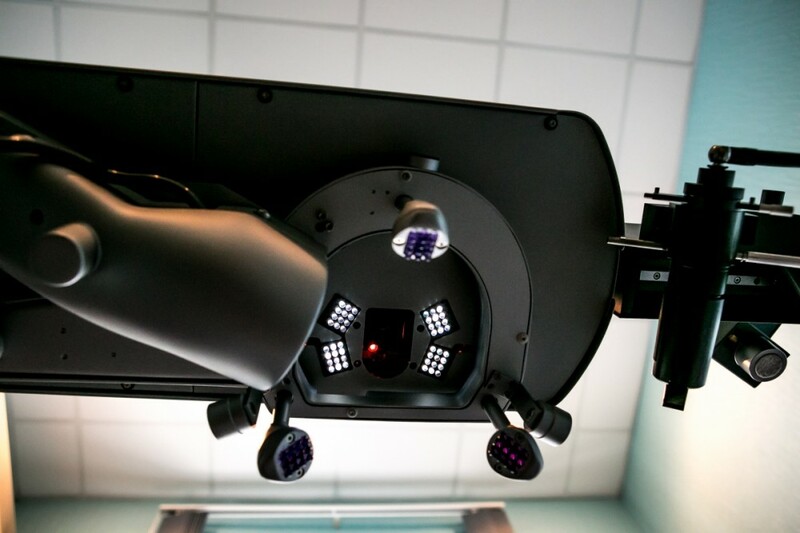 The cross form mark in the laser EYE-Q enables to control movement of the patient’s head and increases accuracy of correction. 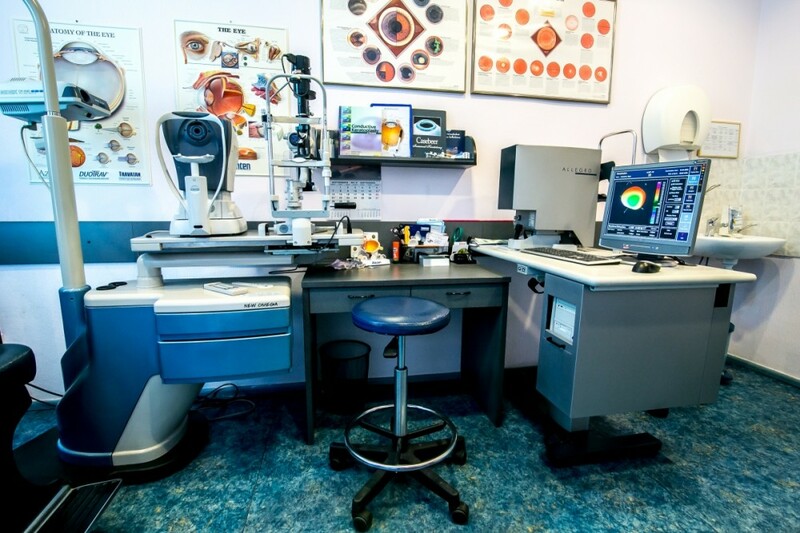 The programme Custom-Q ensures an individual selection of corneal asphery and enables an ideal choice of optical zone measures with accuracy until 1/10 mm and refraction until 1/100 dioptries for a maximal usage of possibilities. Topograph ALLEGRO is intended for high resolution measurement of corneal surface and data achievement during ablation procedure. With a super high resolution, achievable due to usage of 22 000 points of measurement, the topograph ALLEGRO Topolyzer is a high accuracy device for refractive surgery in accordance with requirements of an individualised procedure. The work of the topograph ALLEGRO Topolyzer is excellently synchronized with the excimer laser ALLEGRETTO WAVE EYE-Q. The built- in keratometer and automatic demonstration of all the measured parameters in real time enable accurate centring of the image with a standard deviation in the periphery of only 4 microns. The topograph ALLEGRO Topolyzer in combination with the laser system ALLEGRETTO WAVE EYE-Q enables the surgeon to perform an accurate correction of the refraction anomaly under topographic control for achievement the best clinical results. An excellent device for refraction correction taking into consideration individual optical data of eyes, analyzer ALLEGRO Analyzer is compatible with the excimer laser ALLEGRETTO WAVE EYE-Q. Analyzer of the wave front ALLEGRO Analyzer works by the Cherning principle in a visible spectral range on the same basis as a human eye. 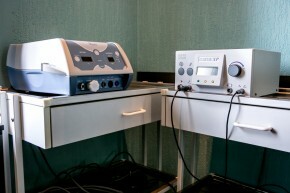 Being a company that the first developed the ablation technology with the use of the wave front measurement data, WaveLigh AG is also the only company that uses the Cherning principle in its diagnostic devices as it prevents from obtaining false positive results, increases accuracy of measurements and thus minimises the risk of inadequate treatment administration. All the components of the wave front analyzer ALLEGRO Analyzer – software cracking, spatial resolution and algorithm –are specially developed for performance of vision laser correction on the basis of wave front measurement data and optimised for excimer laser ALEGRETTO WAVE EYE-Q.